I currently am a certified teacher from K-9th grade and teach all elementary grade classes along with Middle school and some high school Math classes. I also have an undergraduate degree from DePaul University in Chicago in Accounting and I also took a number of extra math classes. I have also been a substitute school teacher in the Valley View School District which has schools in Bolingbrook and Romeoville, IL. I have taught Elementary, Middle and High School for the past five years. I have also substitute taught in Naperville and Aurora for the last year and a half in District 204. My teaching style is to first talk with the student to see what the problems they are having with the particular subject we are working on and then ask them a number of questions about that subject to see exactly what they know and what they do not know and what in particular they are having trouble with. I can then figure out how best to help them with the areas they are having the most difficulty with and put together a plan of action. Rate details: Any prospective client can propose a rate change if they have more than one child who needs tutoring or if they need tutoring more than one time per week. Being a certified K-9th-grade teacher since 2010 before Common Core began and substitute teaching in two different school districts has kept me involved with all the Common Core Standards required in Elementary, Middle and High School. I have also tutored many children in many different cities around the country via online tutoring which also keeps me informed about working with the Common Core Standards. I am a certified K-9 teacher looking for a full time elementary teaching job. I have substitute taught for six years in district 365U, Bolingbrook/Romeoville and for two years in district 204, Naperville/Aurora. I work almost exclusively at the elementary school age level but have tutored a home schooled seventh grader for more than six months meeting 2-3 times per week. I enjoy working with and seeing children succeed while working on a problem and finding the correct answer. I enjoy teaching all types of Math and want Math to be fun when I teach it. I use a large number of manipulatives or hands on devices to get the point across. Math is not hard you just have to take everything one step at a time and be slow and steady. As a substitute teacher in two different school districts, there are a large number of jobs that are able to be chosen in a given time period. Since I know Reading is one of the most important, if not the most important, subjects to learn and to teach, I often take a job as a Reading teacher. This position gives me the opportunity to work with a small group of children and help them improve their reading skills. I realize how important reading is, and want to help anyone and everyone I can to read better, which will help them to better understand what they are reading and begin to enjoy it. I am a recently certified teacher for grades K-9 and have substitute taught for over five years in one district and more than one year in another school district. I have also done some tutoring with two different students for more than six months with each of them. I have worked with a large number of different types of children with a large variety of socioeconomic backgrounds and have always found a way to help them. There are a number of different ways to teach someone how to study. The best way to do this is to talk to them and see which way they think would work best for them and then try a couple of different styles. They may need to use different methods for different subjects but repetition is always the best way to go. I enjoy learning new words and look at the web site dictionary.com since they give a new word every day to learn and to use. It is important to use different words and not always say big or good and try some other different, better or not often used words. I enjoy reading about and teaching history especially American History since there is so many interesting things that have happened. Most of the things that have happened affect us some how today and it is important to learn about these events and see how they impact us at the current time. I have always had an interest in learning about different countries and what they produce and where they are located. I also have been able to travel around the world and have been to Australia, Mexico, Canada, Tahiti, Hong Kong and forty (40) of the fifty states. I have a map of the world in my computer room and look at it every day and try to learn something new about the world. I am a substitute teacher in two different school districts and always enjoy teaching Social Studies in whatever grade it is. I enjoy reading about the past and the interesting things that happened and thoroughly learned a large number of things while discussing the past with my students. I have learned a large amount during these interactions and have engaged in numerous discussions with the students in my classrooms. I always try to read up about the particular topic we will be working on and since I have a fondness for this subject I remember a large number of interesting facts about important people, places and events that took place. It shows when you like a particular subject and Social Studies is one of those subjects for me. I have fun when I teach it and I know my students always learn something when we discuss the days events. The studying of algebra can seem confusing to some since there are a large number of mathematical terms involved in doing this kind of work. The way I teach and tutor algebra is simple. You first have to figure out what the question is looking for then go step by step making sure you write everything down and then coming to the correct answer. I would work at the student's pace and make sure they understand the basics since you do a large amount of work with equations which are problems with an equal sign in them. There is a bunch of adding, subtracting multiplying and dividing in these problems. My substitute teaching experience in two different school districts one for six years and the other for two years along with my pre teaching undergraduate degree in Accounting helps me understand what is involved and filter this down to my students so they understand what the problem is they are trying to figure out. As a substitute teacher in two different school districts working in one for six years and one for two years and being a recently certified K-9 teacher I always enjoy teaching Geometry. It is the one Math subject where you get to use three dimensional shapes, work with lies and shapes and triangles and parallel and perpendicular lines. You also get to draw triangles and angles and measure them with a protractor. I cannot draw at all but working in Geometry is always fun and is easy once you understand the basics and realize that formulas are involved to figure out area, perimeter and volume. As a tutor who specializes in Math, Prealgebra is a Math topic that you have to work at one step at a time. Some problems or equations may look hard but if you take each problem and do one thing at a time and write it down it becomes much easier to handle. As a Math tutor this is how I approach all topics and prealgebra is no different. I am also a recently certified teacher eagerly searching for a teaching position. As a substitute teacher for the past six years, I always enjoy teaching Math in either elementary or even middle school. It is fun for me and I try to show my enthusiasm and enjoyment whenever I teach any subject in Math. A number of years ago when I first decided to become a teacher it had been more than 20 years since I had been in school. I went to the library and checked out three different full practice tests on three different occasions to prepare myself for the actual test and passed the Praxis test with very high marks on my first try. 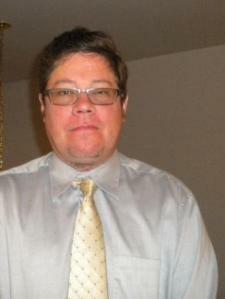 Robert is an amazing math tutor with superior knowledge of the subject. We have gone from struggling to confident in only a few weeks. In addition to the excellent lessons he provides, he also adds humor and reassurance. I now question how we ever did math without him. Thank you, Monica, for the uplifting and inspiring comments about my Math tutoring of your 6th and 9th-grade boys. It always makes me feel great when I can help a student who was struggling and is now confident in their Math studies. I enjoy working with them and they are both polite and respectful which I credit to you and your husband. Bob is helping my son with fourth grade math and so far the tutoring sessions have been very valuable. Every week Bob asks what topics my son is working on in school and brings corresponding practice problems for my son to work on with Bob. The extra practice has been very helpful for my son. Bob also has a lot of experience teaching math and is able to give advice on how to approach each type of math problem. Having a plan of attack for math problems has also improved my son's confidence and interest in math. I was really relieved and assured how he worked with my son and explained and directed him on all of his review math problems. I look forward to the up and coming sessions that are scheduled. Thank you for the thoughtful and encouraging feedback on our first tutoring session. I look forward to working with and helping your son with his Math studies this coming school year. Robert is an excellent tutor. He is patient and very knowledgeable of subject and understanding of my child’s needs. After each session, he gives me feedback on my child’s progress, which is very helpful. I would highly recommend Robert to anyone needing a tutor. Thank you very much for the kind and helpful review and I am glad that you appreciate my feedback since it keeps you informed how your daughter is doing. I really appreciate your meaningful response. Robert always comes prepared to lesson. Materials covered are relevant to success in school. He is encouraging and set clear expectation. I highly recommend him. Thank you for the kind and much appreciated feedback. I am glad you noticed that I try to be encouraging specifically to your son and also to all my students both in school and as a tutor. I look forward to continue the progress I am making with your son. I am very glad that your daughter liked me and I definitely enjoyed working with her. I look forward to working with her during the summer and improving both her Math and Language Arts skills. Thank you for the much-appreciated feedback on my tutoring of your well behaved and polite son and daughter twins. I look forward to working with them every week and am glad they are getting better in Math and will work with them to make sure it continues. I met with Robert once a week to prepare for the Mathematical Knowledge and Arithmetic Reasoning sections of the ASVAB test. It has been about three years since I have taken any sort of math class, so when I met Robert I was in desperate need of a tutor to help me relearn a lot of the formulas and equations I had forgotten. Before each session I would give Robert a print out of the ASVAB practice test and topics I would be studying that week. We would both work on the test individually during the week and then at our sessions we would go over all problems together. Robert was always very professional. He arrived on time to every session and had always completed all the problems before we met. Since he was always so prepared we were able to make the most out of our hour together. Robert helped me to understand the core concepts behind each problem instead of just memorizing steps. He understood that during the test I would be under a time constraint and made sure to always show me a faster way to solve a problem. He is very patient and knowledgable about a wide variety of mathematical concepts. I would highly recommend him. Thank you, Melissa, for the well written and detailed review of our tutoring sessions. I truly appreciate the time you took and the thought you put into writing this for me and also the nice things you said about my tutoring style. Thank you very much! Robert was great. He was prepared. My son seemed to have enjoyed his first lesson. Looking forward to the next go round. Thank you for the positive feedback and I am glad your son enjoyed his lesson with me.